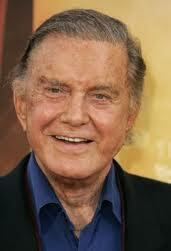 Academy Award winning actor Cliff Robertson has passed away. Robertson’s name may not sound familiar to most, but his face is instantly recognizable to fans of the Sam Raimi-directed Spider-Man films, playing Peter Parker’s beloved (and ill-fated) Uncle Ben. Mr Robertson received his Oscar for his performance as the titular Charly, in the 1968 film of the same name, based on the classic story Flowers For Algernon, about a mentally disabled man who, through science, becomes exceptionally intelligent, before regressing once more into retardation. Among Mr Robertson’s first roles was his portrayal of a young John F Kennedy Jr, in the film PT109, as well as parts in films as diverse as Gidget, Underworld USA, and Three Days Of The Condor. Mr Robertson passed away on September 10, in New York State, aged 88.